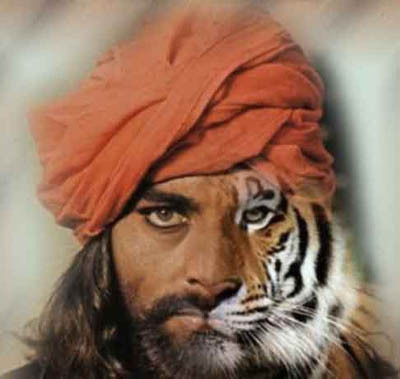 Ahhh, Sandokan, the Tiger of Malaysia. Few of you will have any attachment to Sandokan’s exploits of the Indian Ocean, his love for Lady Marianna and his sidekick Yanez. Sandokan was a popular Italian TV show from the seventies. It temporarily filled the gap in the action adventure genre that remained unfilled until the first Indiana Jones movie revived the exotic locale subject matter. Sandokan was portrayed by Kabir Bedi, an accomplished Indian actor who has done over 40 movies (which may not be a big deal in India). Sandokan traveled across the Indian Ocean and southeast Asia on his ship. I think he was a pirate but I bet that there was some redeeming quality I overlooked as a kid. Maybe he was robbing only the wealthy British merchant ships. I don’t remember. Now, I wonder if the record is any good. I highly doubt that the anti-colonial Robin Hood sings at all. This may be the score for the show or worse yet an orchestral impression of the series that was never a part of the original score. 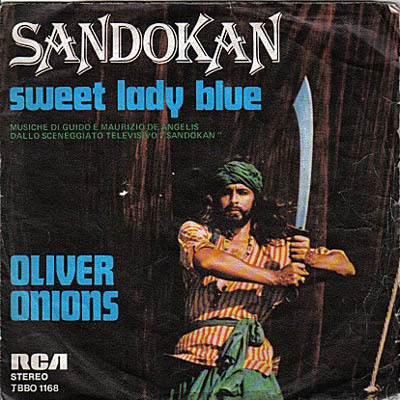 This entry was posted in Records and tagged Bad record covers, italy, sandokan. Bookmark the permalink.